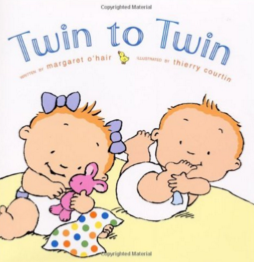 Books about twins, especially written for twins! Who knew such perfection existed? 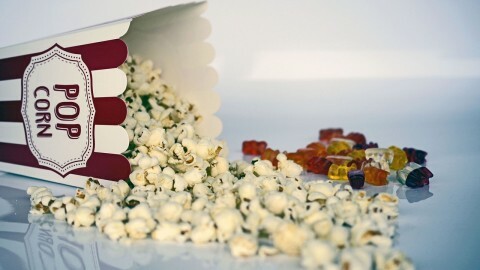 Whether you’re expecting fraternal or identical tiny clones, or whether you’re already a proud parent, this is a list of story books you should definitely make note of. You can even add these to your registry and rest assured you’ll be enjoying reading-time as much as (if not more than!) your little ones. A cute board book that highlights the more fun aspects of bathing a set of two. In fact, for this adorable pair, bathtime is pure bliss. Read about their “splashy, sploshy” time to your own delightful duo, in rhyming text that makes the amusing story musical and even more entertaining. Having fraternals? Then this is a must-have paperback! This rhyming story acquaints us with a confused little fraternal turtle (better yet, “fraturtle”) who finally figures out that being a twin is all about having an awesome companion through life, and not about looking alike – a lovely lesson for your youngsters. 3. 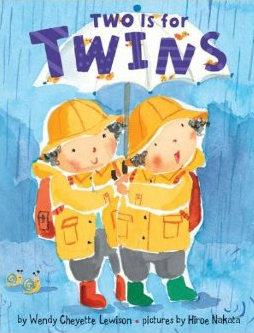 Two is for Twins by Wendy Chewett Lewison This board book, which is full of whimsical illustrations and catchy rhymes explores twindom with a special focus on how awesome things that come in pair are. “What makes two? All sorts of things. A bicycle’s wheels. A bluebird’s wings. 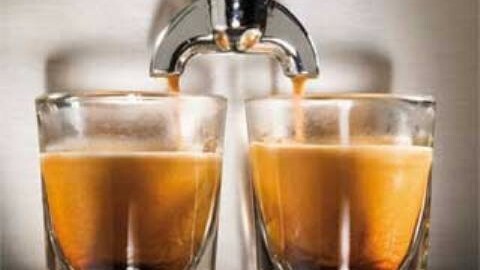 And twins, as you can plainly see, Are just as two as two can be.” Lewison not only highlights the ‘two-ness’ of twins, but also makes sure to hint at the fact that twins can have wonderful shared experiences. A neat hardcover with colorful illustrations, simple but sweet rhymes, plus a fantastic message – twins don’t necessarily do things in the same way; they are, after all, individuals. But this only adds to the fun they can have together! Your little ones will get to read about these playful siblings who are enjoying a day at the park, by being the twins they are, but also by being themselves. If you have twins of different genders this might just be the most ideal book for them. 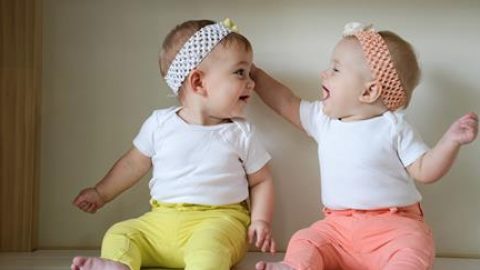 You can read to them about this brother-and-sister baby duo as they go about their day. They’ll get to see them playing with toys, eating and getting tucked in by their parents – all of this through lively and colorful cartoon artwork. Another Weiss classic, perfect for helping your own twins recognize words through simple sentences and word repetition. It’s a delightful story of two playful twins enjoying their daily activities – a ride on their stroller, going on the swings, having fun in the sandbox and on the seesaw – things your little ones could easily relate to and enjoy reading about. We all know that being a twin means having to share lots of (if not most of) your possessions with another. This book tackles that exact concept. Your own twins can get to read about the journey of two five-year-olds as they start branching out and being more independent, realizing how comforting it actually is to have someone to share things with, rather than focusing on the unfairness of it all! Yet another wonderful book about how being a twin can mean having someone you can’t stand, but from whom you also can’t stand being apart for long. It’s an adorable tale of two twin ducklings who squabble about their differences but eventually grasp the fact that even though they have different characters, they are “always twins” – a great shelf-addition for the twins in your life. Quite different from the rest of the books in this list, this inspirational story revolves around a little girl who’s learning to accept the fact that her parents are giving her twin siblings – hands down the perfect book for any sibling who’s expecting a double addition to the family, especially if they may be finding it hard to come to terms with. Fictional three-year-old Paris might actually make them more excited about the twins’ arrival!